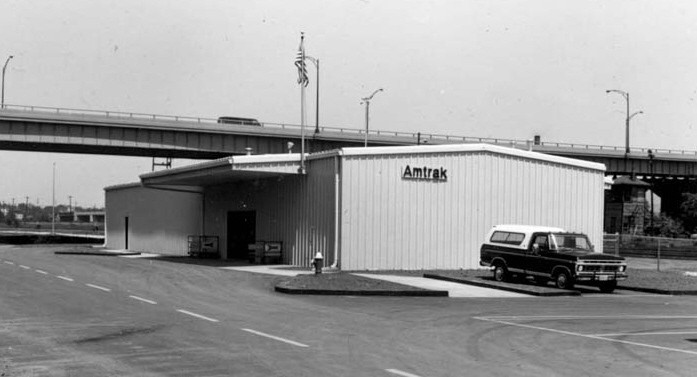 In 1977, during the Conrail era, the Columbus Union Station closed, replaced by a new Amtrack station. 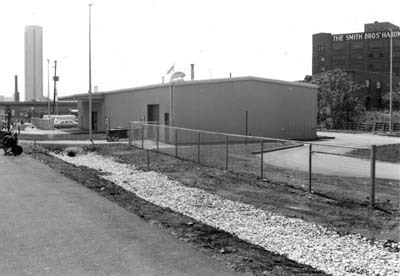 The steel prefab building was located east of Fourth Street on the old New York Central (Big Four) line. Automobile access to the new depot was from Goodale St. The only two trains left through Columbus in 1977 were the National Limited, one each way between New York City and Kansas City. The National Limited arrived from the east on the old B&O/PRR panhandle line and from the west on the old PRR Little Miami line. In order for the train to get to the new depot the train had to do a time consuming switching maneuver. The west bound trains pulled through a crossover that led from the B&O/PRR main to the NYC main toward High Street. It then backed into the depot which was located on that old NYC main line. To leave the depot it pulled west under High Street then backed through the crossover back to the B&O/PRR main then on its way to the PRR Little Miami line. The eastbound National Limited did the opposite maneuver. On September 30, 1979 (some publications say October 31, 1979) the National Limited was taken off and Columbus become the largest city in the country without train service. One hundred thirty-nine years of passenger train service ended. 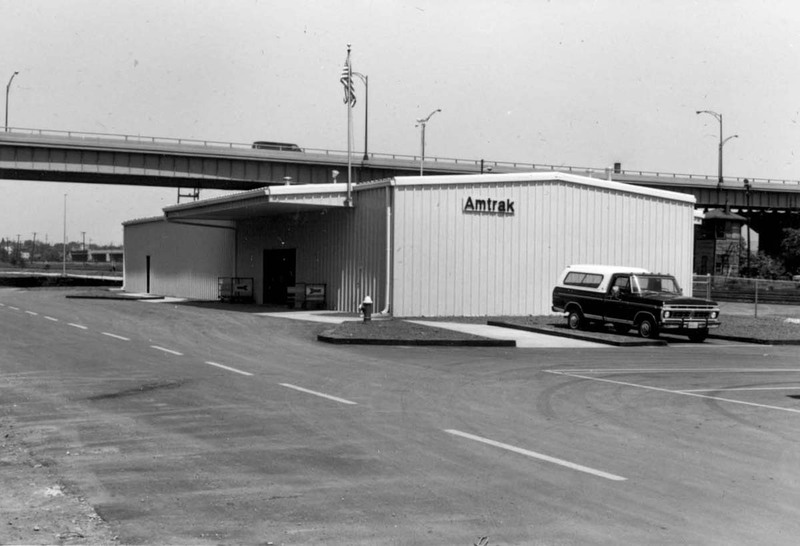 This depot was derisively called the Amshack. In retrospect that was a little unfair. Considering the limited funds Amtrak was working with and the crumbling infrastructure of the railroads there was not much else they could do in the way of improved facilities. The interior had new furniture and tiled walls in the waiting room. It even had vending machines, more than the old CUS had at the end. 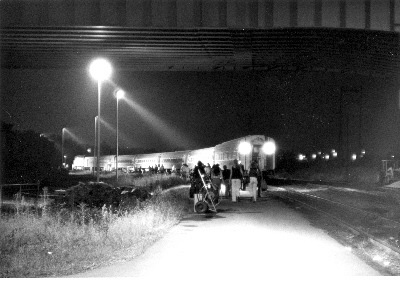 It was always going to be a temporary station even if the National Limited was not abandoned as more interstate road construction was planned for the area. An eastbound National Limited arriving at the new Amtrak station 2 1/2 hours late. The photographer is standing near the depot looking east. The train had pulled so far forward because the locomotive had to be spotted where a fuel truck could access it for re-fueling. The passengers had to hike to their coach. Photo by David Bunge. 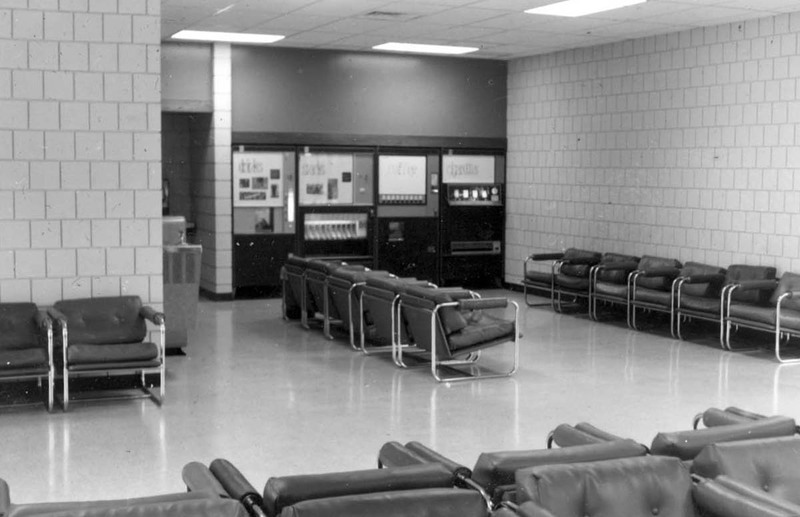 When the National Limited first started using the Amtrack station it was powered by EMD E units. 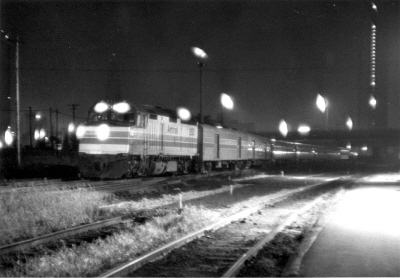 Later SDP40F units were used as in the two photos above. The passenger cars were watered and the toilet storage tanks emptied at Columbus just as was done when the train stopped at Columbus Union Station.